Volunteer Opportunities: Currently, we are seeking volunteers to serve in our nursery, preschool, and children’s church ministries. If you feel God leading you to serve in this area, please contact the church office today! Because we take child safety very seriously, we ask that all potential volunteers apply at the church office, complete a background check, and meet with our ministry leaders prior to accepting a position of service. There is something for the whole family at FBChurch Garden Lakes, and that includes children. 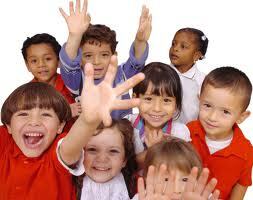 For the safety and security of your children, all workers must undergo a complete background screening. During our Sunday morning Bible study and worship service, infant and childcare is available* in the preschool area located on the north side of the building. There is also a Nursing Mom / Cry Room available to parents. Our worship (music) time is designed to be inclusive of school aged children and to give them a variety of learning experiences. School-aged students will join their parents during the first part of our service to share in lifting their voices to The Lord. After a time of worship, children (K through 4th grade) are typically invited to break away for our children’s church service, where lessons and activities are prepared just for them! Occasionally, Pastor Jeffrey will have a special time of teaching with our children when he will invite them to join him down front for a lesson. Other times, children will remain for the entire service hour so that our children’s church workers may join in the service, and so that you may worship with your children as a family. Family Worship Sunday is a time when we teach our school aged children to sit with their parents during the worship service. FW Sunday falls whenever there is a 5th Sunday in the month. This not only helps our students learn to sit in “big church,” but it also allows a time for our Children’s Church leaders to sit under the teaching of God’s Word with the rest of the congregation. For parents who are concerned their children will be disruptive, we have reserved a “family section,” near our nursery wing so that you may make a quick exit if needed. If you are easily disturbed by small children, you may wish to sit in an area away from this section. During the Sunday School hour, we have classes for each children’s age group, nursery through 6th grade**. Our greeters can help you find the right class for your child! Wednesday Evening Awana Club for Kids is on Sabbatical for 2018. Several of our leaders have retired and we are taking this season to rebuild our team and train new leaders. If you are interested in becoming an Awana leader, please reach out to the church office to apply. Nursery Workers – We are so grateful for your service. To keep up to date on the nursery/preschool schedule, we have posted the most recent revision in the nursery hallway. Additionally, you may contact the church office to have a copy emailed to you directly. * Unless otherwise noted, child care is available for all Sunday Morning services, but not necessarily for other church events or services. There may be occasions, such as special services, where child care is not available so that families may worship together regardless of age. Details are announced in the church bulletin. **If your child is in 7th grade or above, please see our “Student Ministry” tab to find out what ministries are available for your student.